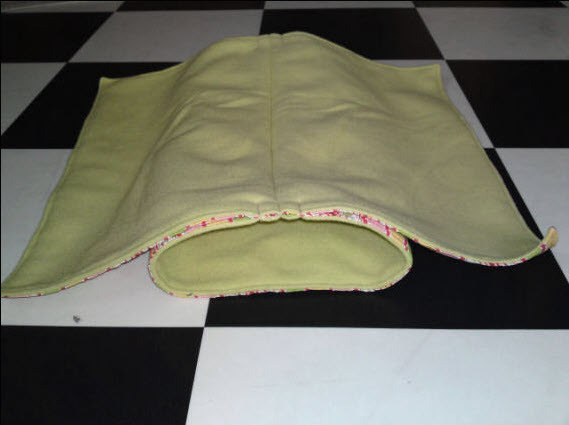 Sew a tunnel and a hammock for your rats, and put them together to conserve space! Cut two matching rectangles of fabric for the tunnel and two matching squares for the hammock. Sew the edges of each set of fabrics together. Sew the long edges of the rectangle together to make the tunnel, then sew the top of the tunnel along the bottom of the middle of the hammock. Poke a hole in each corner of the hammock, attach lanyard clips through the holes, and hang the hammock in your pet’s cage.